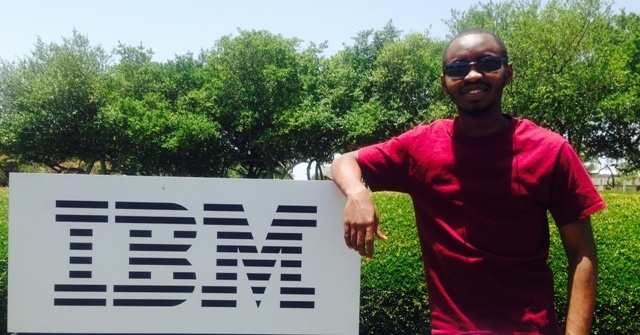 Above photo: A triple major in Math, Computer Science and French, Steven Sakayroun ’16 participated in an internship with IBM during the summer of 2014. Westminster College is one of only 125 colleges and universities in the country to be designated a STEM Jobs Approved College. Data from 6,750 colleges and universities was reviewed and of that number, 3,758 of them were invited to submit information. Only 125 institutions ultimately received the prestigious designation for their success in preparing students for STEM – science, technology, engineering, math – related jobs. Schools submitting data were scored on publicly available data and responses to questions around three key indicators of success: STEM job alignment, STEM job placement and diversity in a school’s STEM programs. This 2015 STEM Approved Colleges inaugural list is the first of its kind to rate universities, colleges, community colleges and trade schools on their responsiveness and relevance to high demand, high growth STEM occupations. According to statistics from the U.S. Bureau of Labor Statistics, STEM-related jobs in the fields of science, technology, engineering and mathematics are currently some of the highest paying jobs in the United States and hold some of the greatest potential for job growth. Ten percent of all U.S. jobs are STEM related and pay close to double the U.S. average. Westminster College will be featured in the Winter 2015 edition of STEM 2015 magazine along with the entire list of STEM Jobs Approved Colleges. Find out more online: http://stemjobs.com/2015-stem-jobs-approved-colleges/. STEM Jobs Approved College research was conducted and designations awarded by Victory Media, a leading business leader in successfully connecting individuals in transition with education and career opportunities and creator of STEM Jobs media, education and career resources for students interested in science, technology, engineering and math.